New car technology is rapidly evolving. Just when you thought you’d seen or heard it all, a new feature launches which promises to make your driving experience safer and more comfortable. We’ve compiled five great new car features that are a must-see when considering your next purchase. Mobile phones have had personal assistants such as Siri or Alexa for a number of years, and now you can have a virtual on-board assistant in your car. Just mention the key word “Hey (insert car name)” and your car infotainment system comes to life ready to execute your command. And no, you don’t have to speak in a weird accent in the hope that your car understands you. You can ask the car to turn up the heat, change the music source, or navigate you to the closest McDonald’s. 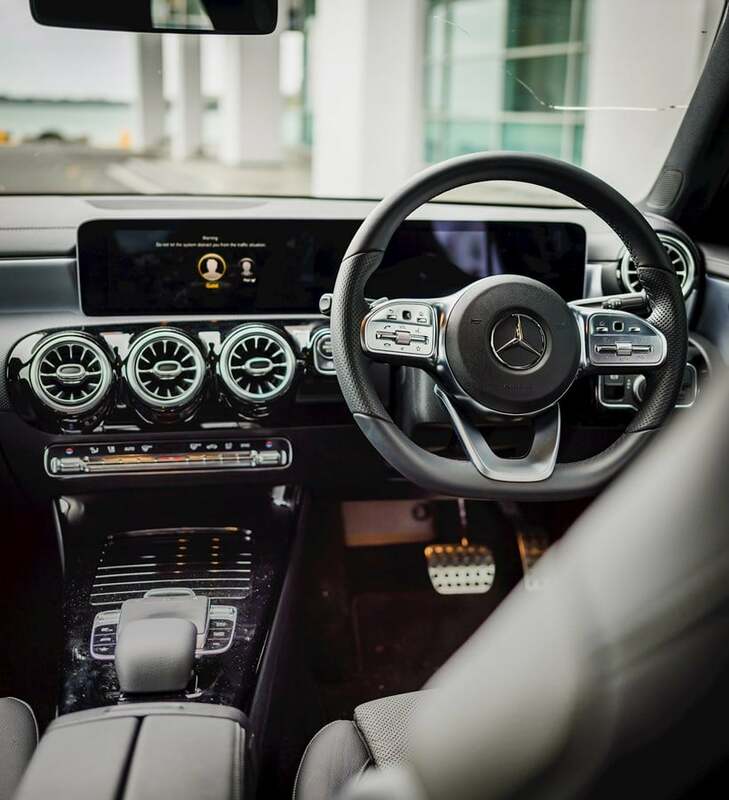 Using recently released AI technology, this system will adapt to recognise your voice and driving behaviours and even make some suggestions based on regular destinations. It will also offer you route changes on the fly if traffic is congested, and update you if there is an incident. You can even give your car a name, say commands like “I’m cold”, or ask “what is the meaning of life?” (for those deep thinking moments). A few recently released vehicles in the large SUV segment have included revolutionary safety features to keep rear passengers, particularly children, safe. Rear Occupant Alert monitors weight on the rear seats and alerts the driver if detected when leaving the car. This aims to reduce the chance of items, pets and children being left in an unattended vehicle. Reminders can be via sound, display, and through vibrating of the seat to get the driver’s attention. Another great new feature is called Safe Exit Assist. This uses the Blind Spot Monitoring system to lock a rear door when it detects the approach of a vehicle from behind. This helps to stop a rear seat occupant leaving the vehicle when there isn’t a safe gap in traffic. This should also prevent cyclists being hit by open car doors. 4. Facial recognition A Driver Monitoring System (DMS) that includes facial recognition is a new feature found in specific Subaru Forester models. DMS sets up driver preferences within the cabin to personalise the drive for up to five registered drivers by scanning their faces. A dedicated camera is installed in the visor of the Multi-Function Display, which recognises the driver’s face and constantly monitors the seat area. Another feature of the DMS — that is found in other brands too — is the Wandering Gaze Warning. If the driver continues to look away from the road ahead, the system warns both the passenger and the driver through a visual and audio alert. The DMS can also detect if the driver is getting drowsy. The warning system uses facial recognition to determine if the driver is dozing off. Adaptive headlights ensure that the driver has the best possible view of the road at night. As the driver enters a curve, the car’s headlight beam turns to follow the direction of the road so the driver always knows what’s ahead and the road is better illuminated and obstacles become visible sooner. This provides safety benefits when taking bends at night or whenever visibility is poor. Sensors measure speed, steering angle and yaw (degree of rotation around the vertical axis), and based on this information, headlights can move so the beam falls on the road ahead, guiding the driver into the bend.